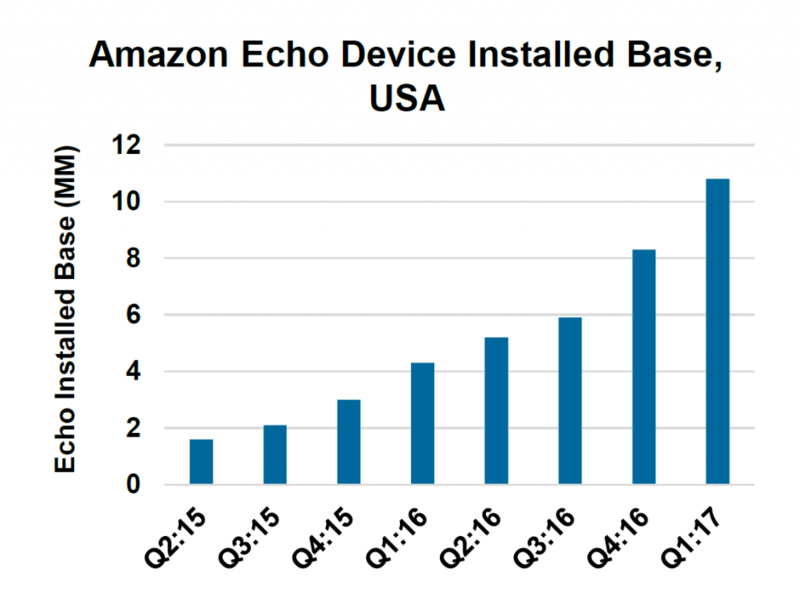 The data is undeniable: voice search is becoming more popular, with mass adoption of ‘home assistants’ continuing to increase through 2017. Below we explore how the trend for voice search looks moving into 2018 and beyond, how voice search impacts the way people search and what you can do to ensure you’re well placed to be front and centre for voice search results moving forwards. All of this points towards what we and others in the industry have been saying for a long time, that voice search is on the rise and to stay visible and relevant for the increases in searches, you need to make sure your site is well optimised for voice in 2018 and beyond. Below we’ve outlined some ways to ensure your digital marketing efforts across both organic and paid search are geared towards voice search, and that your site appears when users search. Why is this distinction important? Firstly, the types of searches people make on each device will likely vary and it’s important to think about what users might want from voice search to ensure your optimisation is geared towards this (more on this below). Secondly, only option one currently delivers a paid search result. When using an ‘Okay, Google’ command for instance, you aren’t served any paid ads. For the connected home device, there’s no screen to display ads on (more on that later), so whilst these can still be optimised for with organic work, paid visibility is much more limited (for now). Search is increasingly monetised over time (as we saw with Shopping ads moving from free to paid some years ago) so it’s perfectly plausible that other forms of voice search or device specific searches will eventually start showing ads too. In the short term, being optimised for voice searches within the search engine is achievable, and we should be ready for when voice search ads show more widely too. 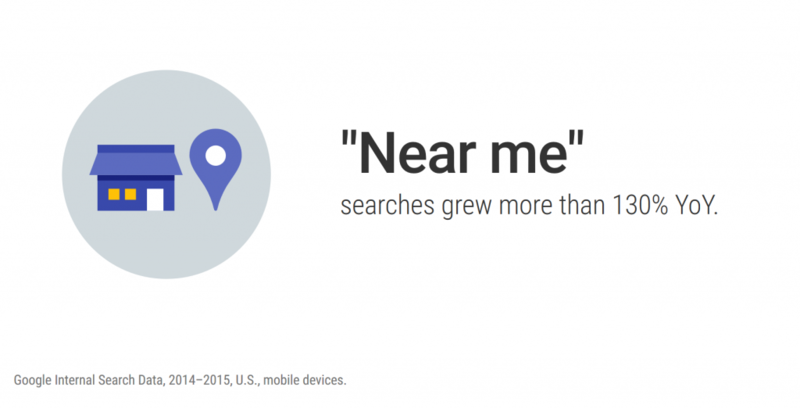 This trend in 2014-2015 was a direct result of mobile devices that made searching on the go and ‘in the moment’ possible, and in turn, changed how people search for things. Interestingly, the latest data from Google shows that the above trend is slowing, not because people don’t have the same intent, but because they’ve adjusted their search behaviour as a result of understanding they don’t need to include ‘near me’ to still get localised results. When typing out a search query, people generally search in a way that they believe a search engine will understand, to find a particular answer. With voice search, people interact more naturally, and in a conversational way. Voice search: What hotels are available in London Bridge this weekend? The combination of question + local is the crux of many voice searches. 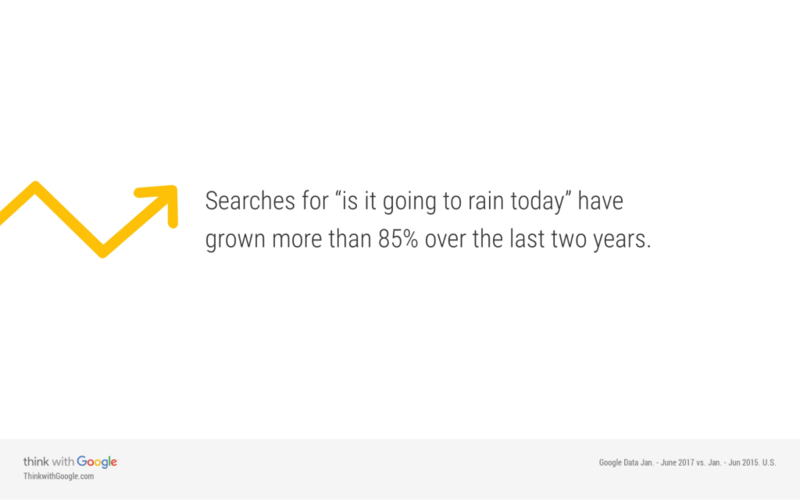 Many of these are immediate information like the weather or traffic which Google will handle, but there’s a need for marketers to think about what kinds of voice queries might work for their brands and to ensure they have content optimise for this purpose, whether that’s on-site content, or ensuring that all local listings for branches have the correct store hours and address details. Understanding how people are using voice search is only one part of the puzzle, and you need an effective way of finding out what questions people are asking to ensure you can be front and centre when they do with the right content, and with targeted keywords in paid campaigns. You should also consider which question words are being used, and prioritise them in order of commercial value, to determine the bids you want to set. For example, the question word “where” often implies that someone is closer to converting than “what”, and as such can be bid on more aggressively in PPC. When Google answers a query on Google Home it’ll state where the website or source of the information and can provide a push notification on your phone. However, unlike a text query on desktop or mobile that returns results for a user to select, voice search doesn’t give users an option, instead using the result located in position zero as a featured snippet. Therefore, optimising your content to appear in featured snippets has a two-fold effect. You’ll appear top ahead of competitors on desktop and mobile, even if you don’t rank in #1; and in terms of voice, you’ll be the source of information used by Google and the result pushed through to a users phone. The result of a #1 or #0 ranking has always been powerful, but with no screen (and no choice) being in the featured snippet #0 for voice offers dominance over competitors like never before. You’ll want to set up specific question-focused ad groups in your account, so that question queries trigger ad text specific to the question, leading to the most relevant landing page. If question keywords set on exact match have low search volume you’ll need to use broad match modified terms to capture these queries. Group together similar queries in the same ad groups, with bespoke ad text, and frequently review the SQRs to see what questions are triggering your ads. Add negative keywords to stop irrelevant queries from triggering your ads. While bidding on question terms in your PPC account is likely to bring in more volume, you’re also likely to be drawing in interest during the research phase. This may mean that CPA for these question keywords appears high (however, their CPCs are likely to be lower), but it’ll be important to monitor their impact further down the funnel. By bringing in more people at the research phase, they have earlier exposure to your brand, and you have the chance to remarket to them to get them to convert with you later on. Voice search is still a relatively new area for digital marketers, but it’s never too soon to be optimising your organic and paid marketing to ensure you’re ready for what comes next. The most important step is to take the time to really discover and understand what it is your audience is looking for, and to ensure your content and campaigns are created and optimised in a manner that makes discovery by search engines as easy and digestible as possible. If you’re looking to capitalise on voice search and deliver results in 2018, get in touch with us to discuss your needs and how we can help.